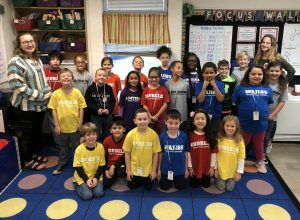 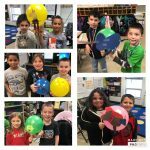 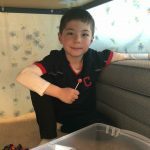 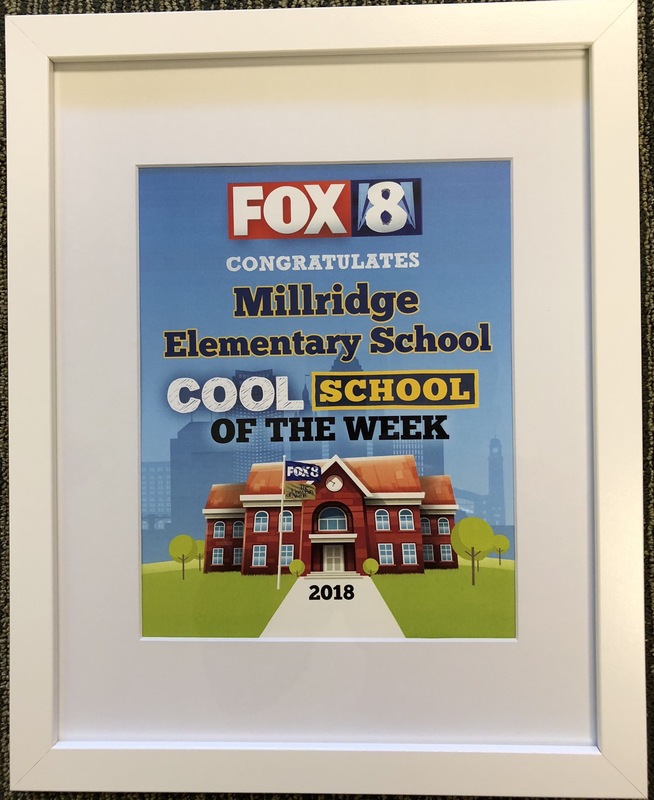 Millridge earned the featured spot of the week by earning 53% of the vote in last week’s online voting competition against Forestlawn Elementary School in Sheffield (40%) and Watson Elementary School in Massillon (7%). 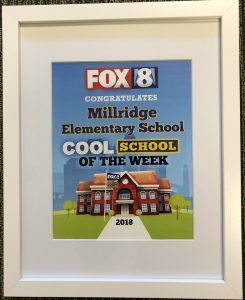 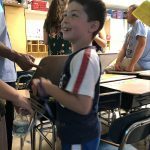 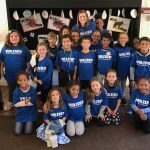 Voting ran between Oct. 8 and 11, and Millridge was announced as the winner during the 6am hour of FOX 8 News on Oct. 11. 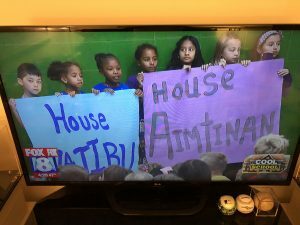 Yesterday the kids were asked to wear their House shirts to school for the filming of the FOX 8 News segment. Mrs. Harris’ class took a photo with their Mayfield High School mentors, just prior to heading to the gym for filming. 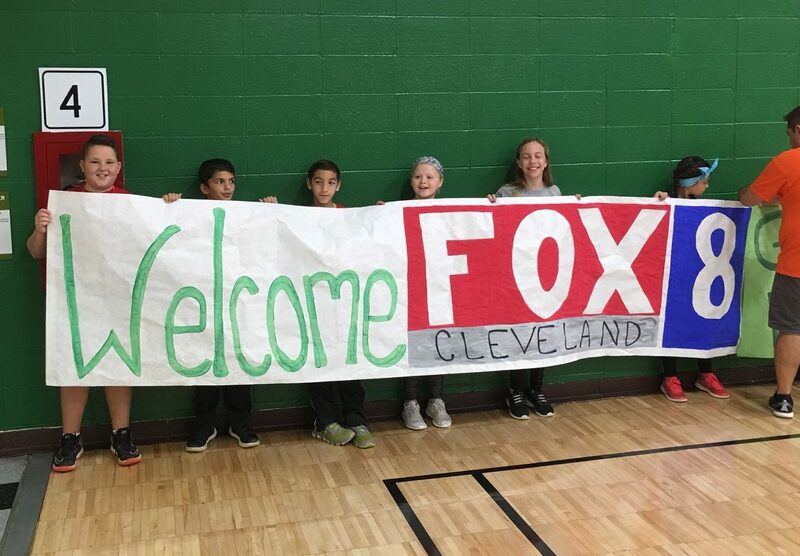 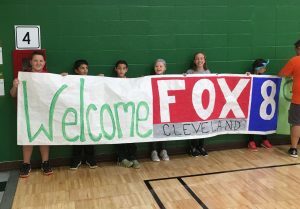 Millridge’s 5th Grade ambassadors made and held the official FOX 8 welcome sign. 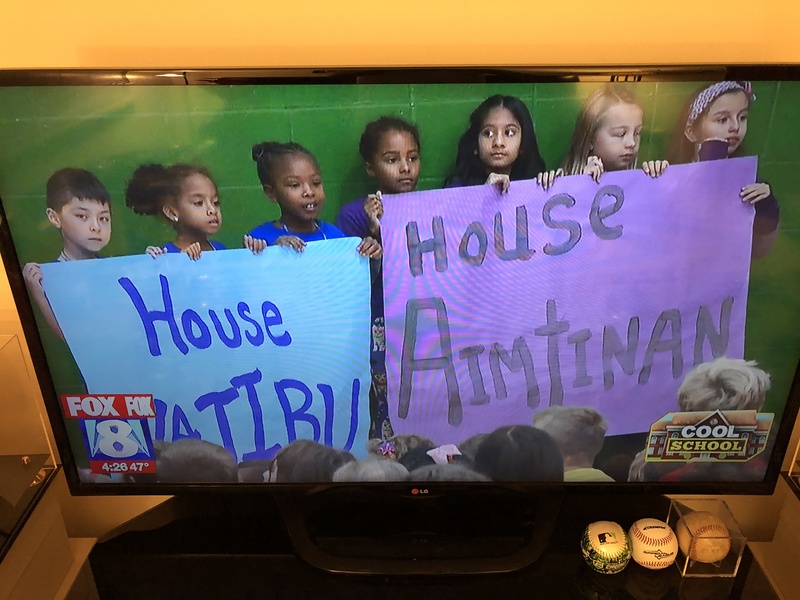 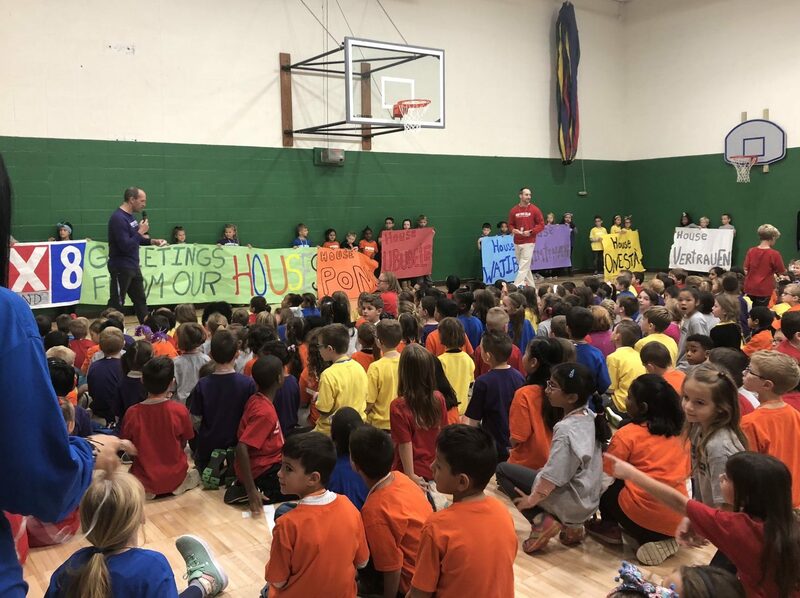 Students from each grade held signs representing each House. 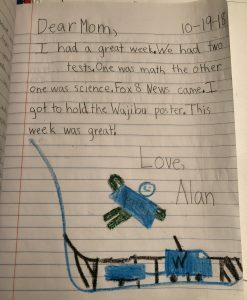 Alan got picked by his art teacher to hold the Blue sign! 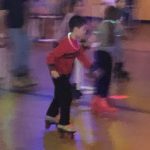 He was so happy that he got picked, which enabled him to get some air time! At the end of the week, Alan proudly wrote about his good fortune in his weekly journal!